Auckland Motors has been serving New Zealander’s automotive needs since 1908; making us one of Auckland’s longest running automotive dealerships. In March 2018, the dealership was purchased by Automotive Holding Group (AHG), Australasia's largest automotive retailer – adding its corporate strength and support to our reputation for delivering the highest standards of vehicle quality and service.  We are very proud to be Mitsubishi Motors most award winning dealership in the country. Auckland Motors has won the prestigious Diamond Dealer award 14 years running, for excellence in sales, service, parts and customer service. Achieving such an outstanding record doesn’t happen by accident – it’s all about the way we treat our customers. For the last 111 years, we have been dedicated to retaining lifelong customer relationships and ensuring that every customer who walks through our doors has an exceptional automotive purchasing experience. At Auckland Motors, we offer a price guarantee: if you manage to find a better price on a new Mitsubishi vehicle, we will do what we can to beat that price; if we can’t beat it, we’ll match it*. Our team are Mitsubishi product specialists; delivering the full suite of your vehicle buying requirements, including: the sale and financing of New & Used vehicles, full vehicle servicing, provision of a genuine parts, accessories and aftermarket products. * Price match guarantee is applicable to new vehicles of the exact model and spec only. Evidence of quote may be requested.